There aren’t many wine-producing countries of this world which can hold a candle to Spain. The sun-soaked southern European country produces the kinds of wines we can’t help but get excited about - fully-flavoured, passionate and thrillingly varied numbers that manage to capture everything special about this country in the bottle. Legado del Moncayo is pretty much spot-on in this regard. 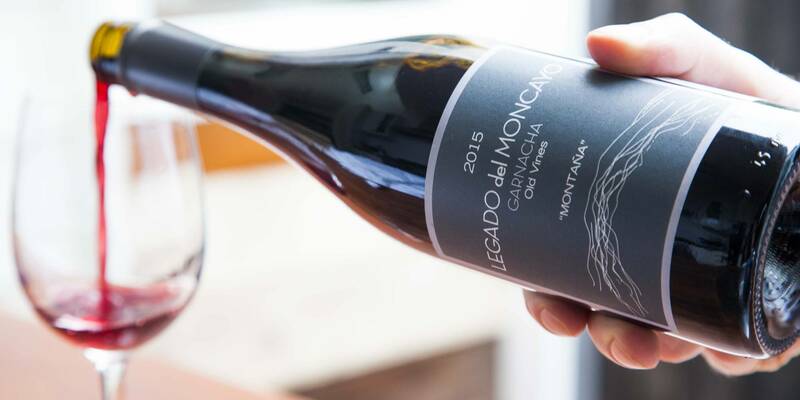 Legado del Moncayo is the passion project of the young and ambitious winemaker Isaac Fernandez. Isaac works in a number of regions across Spain, and with several varieties, but his standout wines to date come from the old Garnacha (the Spanish name for Grenache!) bush vines of Campo de Borja, the so-called ‘empire of Garnacha’ which is famed throughout the country (and increasingly, the wider world) for the sheer quality of the red wines it produces.. It is the home of his experimental approach, bringing together the old world of tradition and finesse with an in-your-face attitude of innovation, and thinking outside the box. Classic formula here - old vines, young winemaker, somewhat overlooked wine region....with hard work, grit and determination, we're seeing some incredible results. The region is hard and tough, and only the best vines survive! It’s struggle-town, and the poor stony iron-rich red clay soils provide great structure in the finished wines. Dark but upfront fruit, with a wafting perfume of rose and small red berries. There's plenty of savoury grit here, backed up by ginger and cinnamon spices, and the power of those old vines really shines through. The wine is well balanced however, with natural acid freshness, and spends just 7 months in french oak, which partially accounts for the spiciness! Powerful, yet elegant, this is a really great insight into a lesser-known Spanish region. Classic formula here - old vines, young winemaker, somewhat overlooked wine region....with hard work, grit and determination, we're seeing some incredible results. 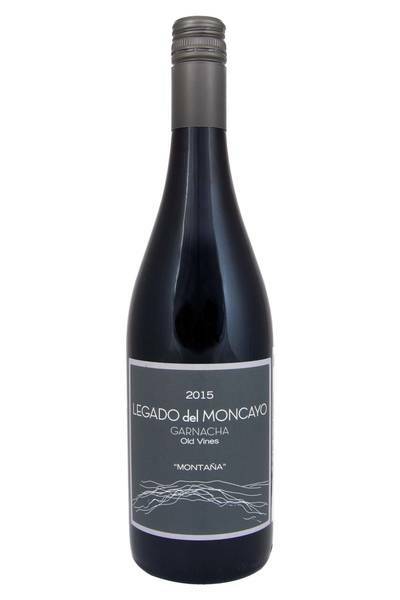 Big, juicy and savoury, this Garnacha wine from Legado del Moncayo is a really flexible bottle that’s perfectly made for simple, unpretentious meaty dishes - exactly the kind of food you want to enjoy at the end of a long day! Try this wine with almost any barbecued meat, pork chops, spiced lamb dishes or grilled meats, kebabs, and stews. It’ll also go surprisingly well with richly flavoured fish dishes, like spicy trout or prawn curries, as well as grilled sausages and meatballs in sauce. Nice!